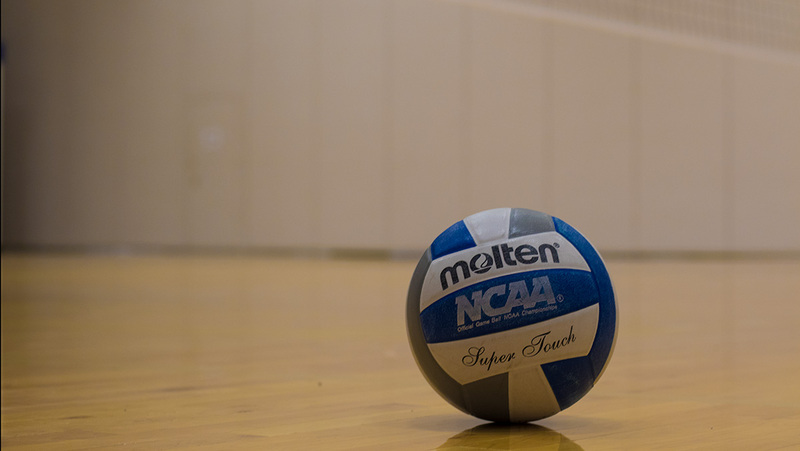 The Ithaca College volleyball team defeated Carnegie Mellon University in the Round of 16 to advance in the NCAA tournament Nov. 11 at Ben Light Gymnasium. The Ithaca College volleyball team advanced to the Elite Eight for the second year in a row with a 3–0 sweep over Carnegie Mellon University in their final game at home of the 2018 season. The Bombers took down the Terriers in straight sets by scores of 25–21, 25–22 and 25–23. All three sets were competitive, but the Bombers were able to prevail in all three of them. The Blue and Gold faced this same Carnegie Mellon team Oct. 26 and fell short by a final score of 3–1. Head coach Johan Dulfer says he credits that defeat to the Bombers figuring things out and having confidence coming into today. Throughout each set the Terriers were able to chip away at the deficit they were facing, and even took the leads at some points in the game, but the Bombers always had a strong rebuttal to any run from their opponent. Sophomore outside hitter Reagan Stone was a key factor in the Bombers offense as she lead the team with 14 kills. She was named regional tournament MVP following the contest. Senior middle hitter Amanda Cerruti also had an impressive game with 10 kills. Cerruti talked about how it feels to be able to get back to the championship site two years in a row with a chance to win a national championship. The Bombers now advance to the Elite Eight in Pittsburgh, Pennsylvania on Nov. 15. They will face off against Emory College at 5:30 p.m. with a trip to the Final Four on the line for a second year in a row.